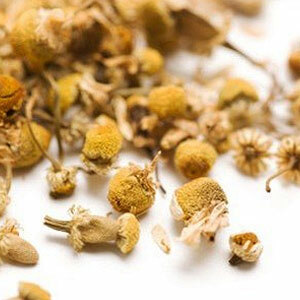 Chamomile (Blue) Pure Essential Oil adds flavor to my special dishes and desserts, makes them extremely tasty. Testimonial Chamomile (Blue) Pure Essential Oil adds flavor to my special dishes and desserts, makes them extremely tasty. Testimonial Chamomile (Blue) Pure Essential Oil adds flavor to my special dishes and desserts, makes them extremely tasty. Donna James - FloriaBotonical Name Matricaria recuticaExtraction File steam-distillation Matricaria recuticaCAS 8022-66-2Country of Origin NepalColor & Odor Blue green liquid with Honey Sweet Fruity odorSolubility Insoluble in water, soluble in alcohol and oilsTestimonial Chamomile (Blue) Pure Essential Oil adds flavor to my special dishes and desserts, makes them extremely tasty. 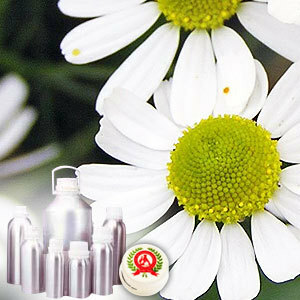 Chamomile (Blue) Essential Oil is an essential oil extracted from Matricaria chamomilla (M. recutica) of same family and is also well recognized by the names of blue chamomile, Hungarian chamomile & single chamomile. It has a sweet, straw-like fragrance and is dark blue in color with medium viscosity. bergamot, lavender, geranium, clary sage, jasmine, tea tree, rose, grapefruit, lemon and ylang-ylang. Blue chamomile oil is used for treating any type of internal or external inflammation as well as is very effective on urinary stones (bladder gravel) as well. It helps in stimulating liver & gall bladder, thereby improving digestion and in treating menstrual & menopausal problems. When used on skin, it has miracle effect for treating red, dry & irritated skin as well as calming allergies, psoriasis, eczema and all other flaky skin problems.